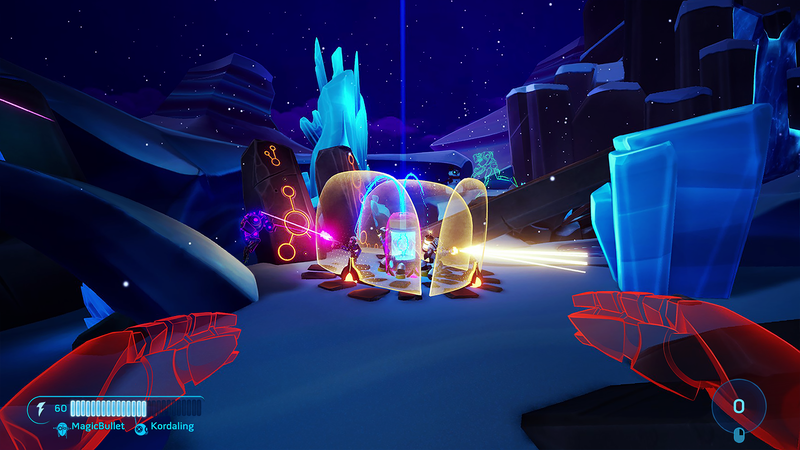 Aftercharge is an asymmetrical team game as the two teams not only have different objectives and different abilities but also offer wildly different play styles. One team is made of permanently invisible melee robots and their objective is to destroy all six extractors dispersed around the map. 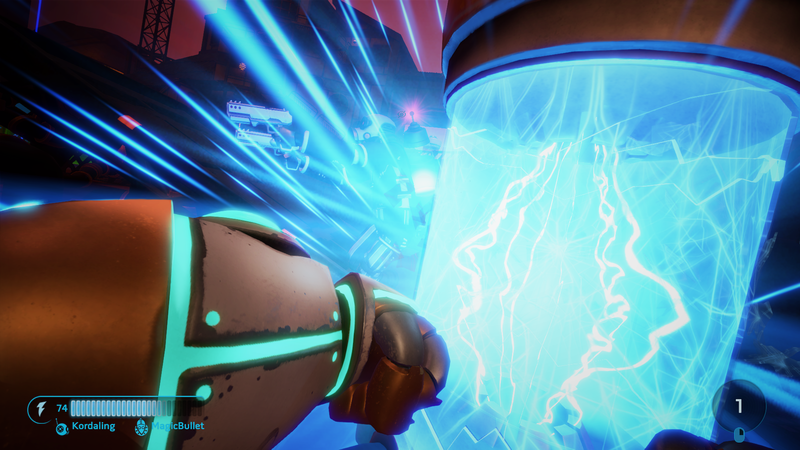 At any time, they can transfer power charges between one another either to empower each other or to boost an ally back to life. They must coordinate their attacks, create distractions and combine their abilities to lay waste on the extractors. 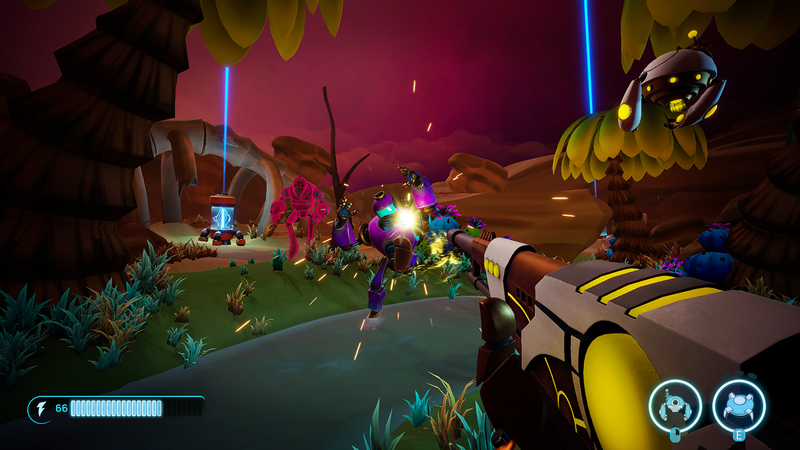 The other team are the enforcers, they are class-based and their arsenal each contains a main weapon, a sub-weapon and a special ability. Their goal is to successfully deactivate all three robots simultaneously. 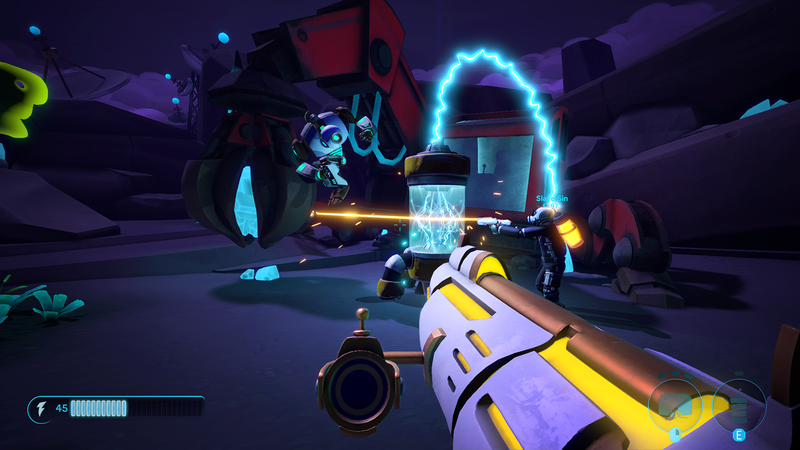 They use up energy for their main weapons and abilities and they must stand close an extractor to recharge their energy, making these neutral structures a key resource for both teams. 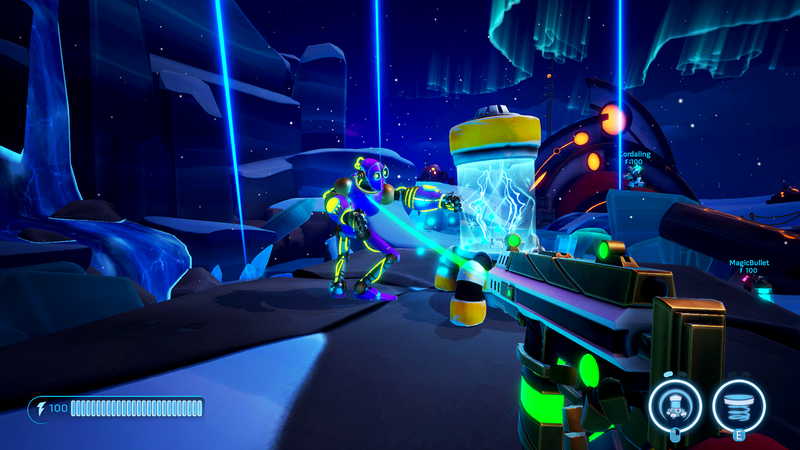 Decades ago, the energy company Aftercharge corp. commissioned a settlement on the distant planet Dusk 11 to exploit the unhinged source of Quanta energy residing at its core. To build the automated extractors, the company created a line of worker robots called workonics with the unique ability to go stealth to avoid corporate espionage. 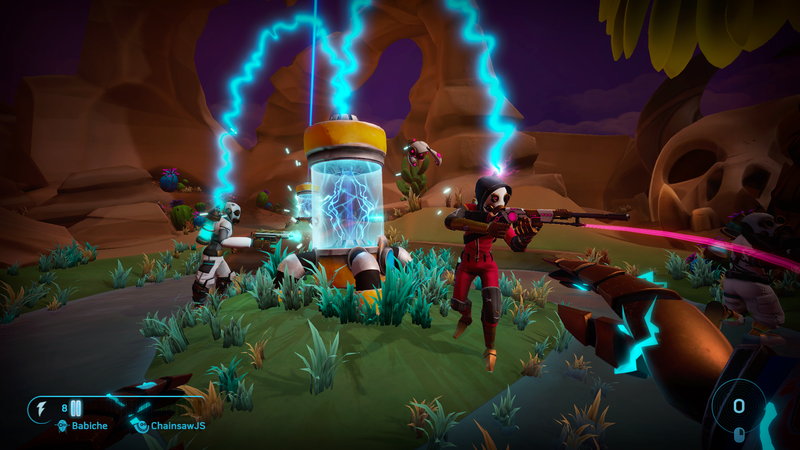 Once the construction was complete, Aftercharge corp. left the planet entirely leaving their discarded workonics behind. With the Quanta now approaching depletion, the core of Dusk 11 is more unstable than ever before. Subterranean seismical activity triggered the release of a powerful charge of Quanta which reanimated all the workonics on the surface. The worker robots are now back online with one goal in mind, wrecking the extractors siphoning the planet. Catching word of this robotic mutiny, Aftercharge corp. is sending its special enforcer squad to thwart the uprising and protect their precious installations.